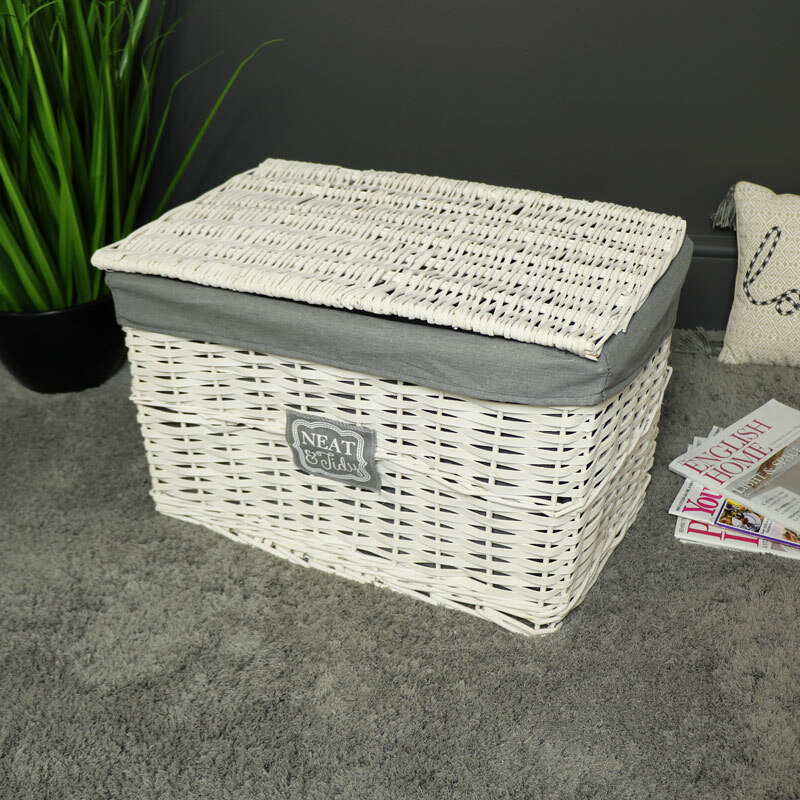 Large white painted willow wicker hamper style basket with lid. Great storage solution for the rustic, shabby chic inspired bedroom. 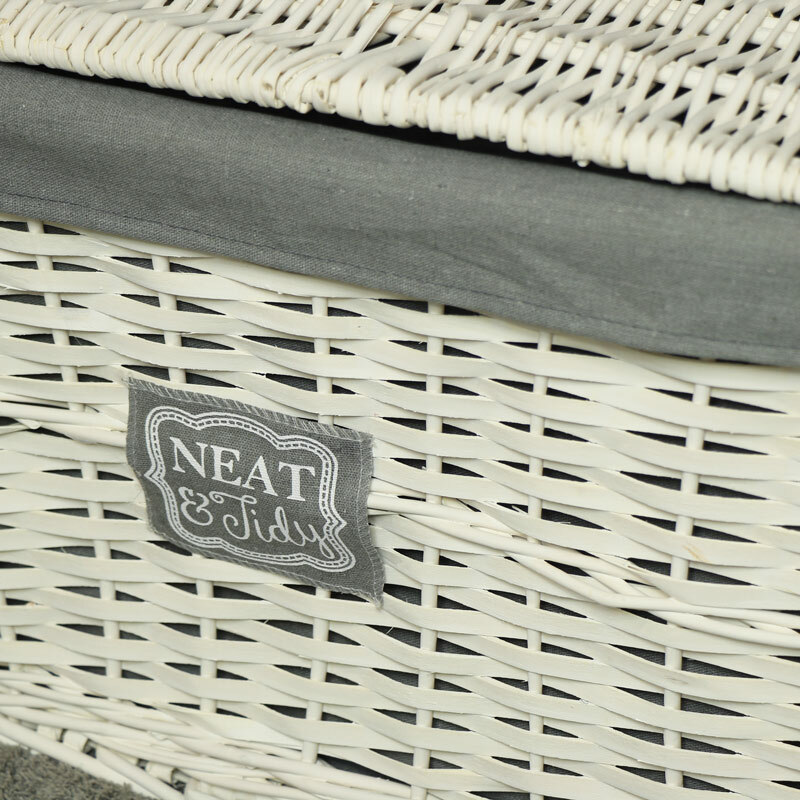 Charming willow wicker basket with washable grey linen liner. Perfect sotrage for clothes, blankets or towels. A great idea for a childs bedroom, can be used for toy storage with lid closing over the top to leave everything look neat and tidy. Large white painted willow wicker hamper style basket with lid. Great storage solution for the rustic, shabby chic inspired bedroom. 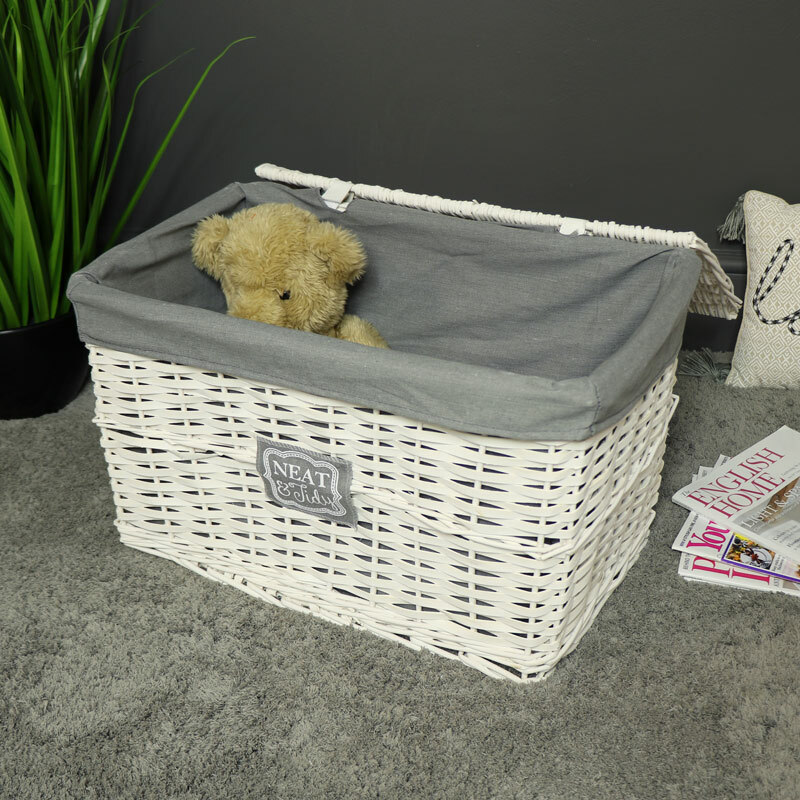 Charming willow wicker basket with washable grey linen liner. Perfect sotrage for clothes, blankets or towels. A great idea for a childs bedroom, can be used for toy storage with lid closing over the top to leave everything look neat and tidy.